If you don’t get excited at the thought of having your next meal, you are probably missing some flavor. What you need is syrup; the best and most diverse way to add flavor to any type of food or drink. With the right kind of syrup, you can turn any simple dish into a finger-licking delicacy. Millions of people invest in a wide variety of syrups and stock them in their kitchen without knowing that it is actually simpler and way cheaper to whip up your own. 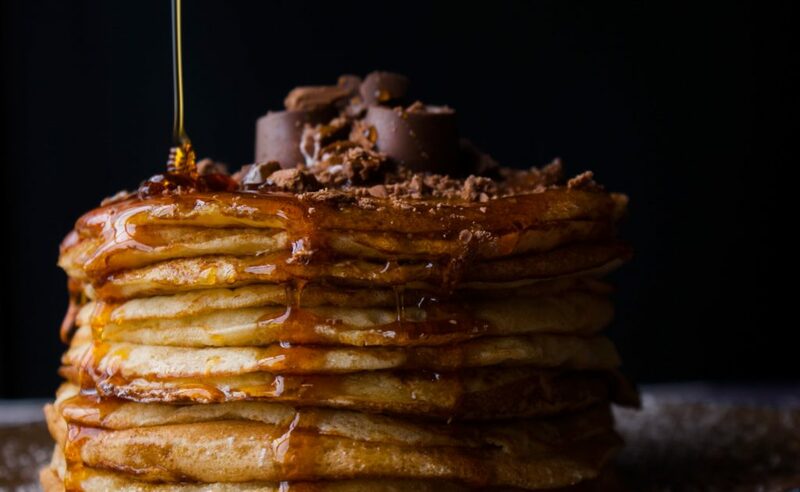 With lots of sugar and water, you can literally come up with any syrup you want. The health benefits of you making them naturally in your kitchen are endless. There are so many ways to utilize ginger syrup. It is one of the most used kitchen ingredients and can be found in almost every homemade remedy for certain health conditions. With the ginger syrup, you will be able to relieve your upset tummy, fight off indigestion, prevent nausea and curb motion sickness. It is also good for stomach flu. Don’t forget the fact that it us super sweet and you will enjoy each and every sip of it. The sugar also helps in preservation meaning you can make it in large quantities then use it in your cooking sparingly. Every adult needs to have some lime syrup in their kitchen. It will come in handy when you need to drown your sorrows in some vodka on a Friday night or need to add a little zest in your dessert. Just like ginger syrup and all other syrups, it can do wonders to your dishes and turn them into something completely different and delicious. Try it with your morning coffee before you go to work to get the kick you need in order to be fully awake and functional. If you want to dial up the sourness a notch, throw in some lemongrass. Out of all the vegetables, beets are known to be the best source of natural sugar that is 100% healthy and free of cholesterol. That is the reason why lots of health experts and fitness enthusiasts stand by their daily glass of beet juice. You can further spice up the juice by turning it into syrup and using it to flavor your yogurt and salads. The best part about using beet juice is that you don’t really need extra sweeteners. Once you have cinnamon or vanilla, you can keep it all natural. Homemade syrups allow you to fuse the different mints you have in your garden into something euphoric. Everybody likes a minty flavor in their tea or coffee. However, if you add mint directly, it will have a bitter taste, and you will need to add more sweeteners. Fusing it with your regular syrup allows you to add it to any type of drink or dish without worrying about the resulting flavor. Whether you are using peppermint, spearmint or apple mint, the most soothing taste is guaranteed.